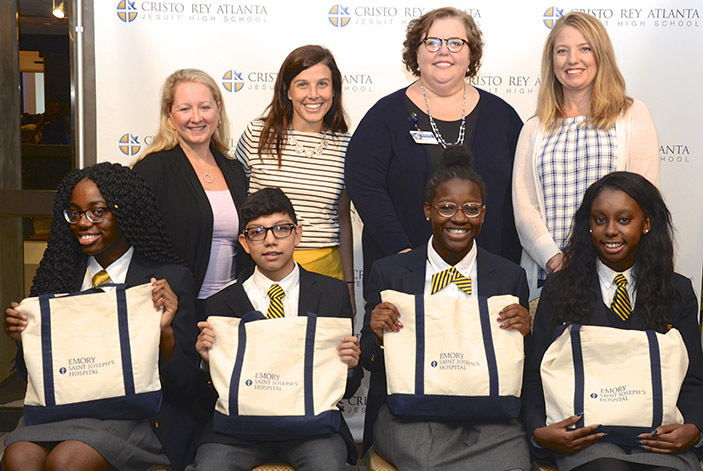 For the fourth consecutive year, Emory Healthcare has joined 140 other area sponsors of the Corporate Work Study Program at Cristo Rey Atlanta Jesuit High School. 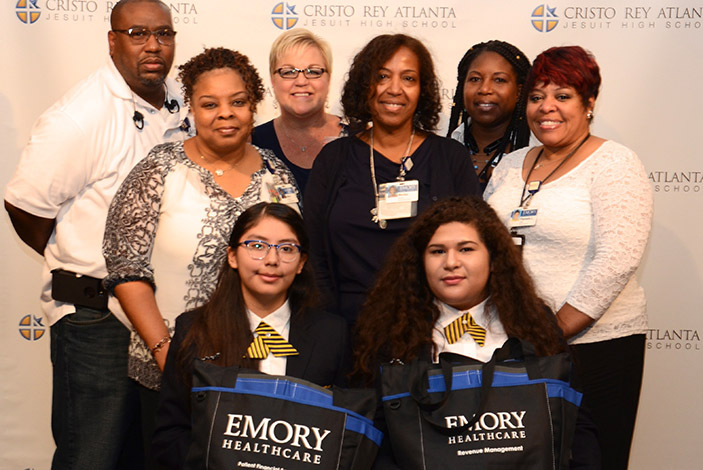 Emory Healthcare is the largest corporate sponsor of the program, with 16 Cristo Rey students working in an entry level job during the 2017-2018 school year at Emory Saint Joseph's Hospital, Emory University Hospital Midtown, Emory Clinic and Emory Orthopaedics and Spine Center. The students are gaining hands on experience and learning about future jobs available to them in health care. Some of their responsibilities include transporting patients, delivering and stocking supplies around the hospital, working with the communications team, providing comfort measures for patients and assisting staff. 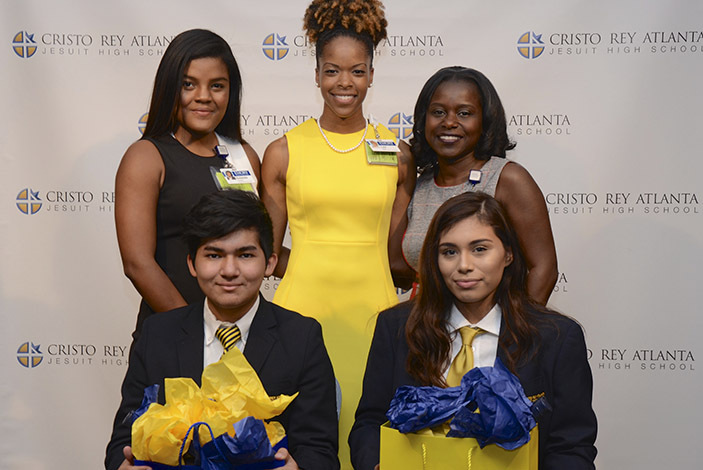 The Corporate Work Study Program is a core component of the Cristo Rey Network model, allowing each student to work five full days a month in a corporate work setting, in addition to carrying a full load of classes. 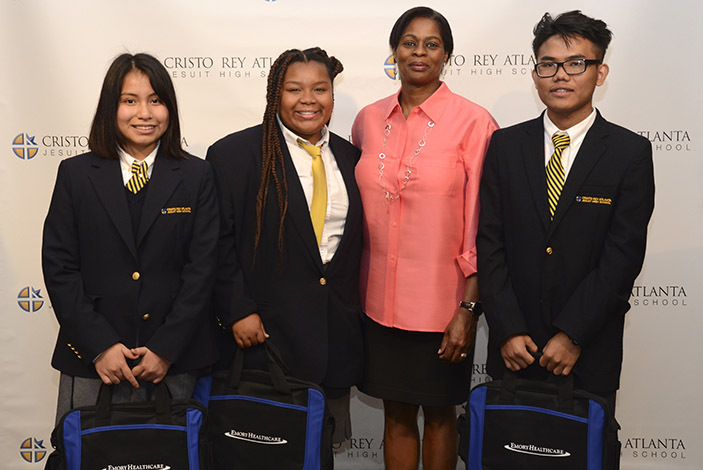 Earnings from the program pay for the majority of students' education costs. 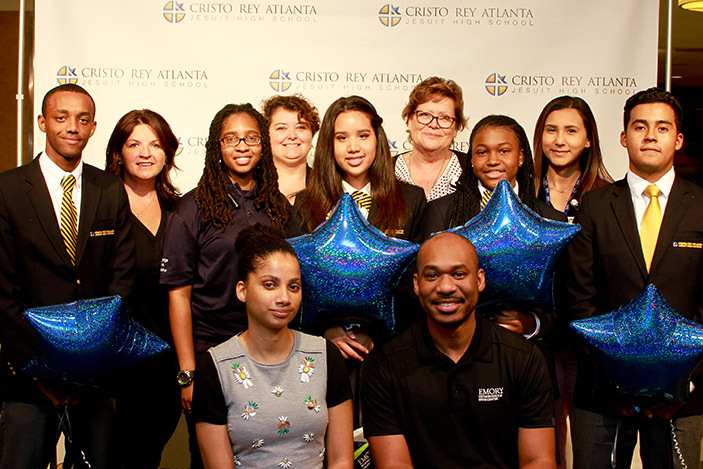 Cristo Rey Atlanta opened in August 2014 with 140 students in its inaugural ninth grade class, and is a member of the nationwide Cristo Rey Network that provides a rigorous Catholic college preparatory high school education to students of all faiths with limited economic means. 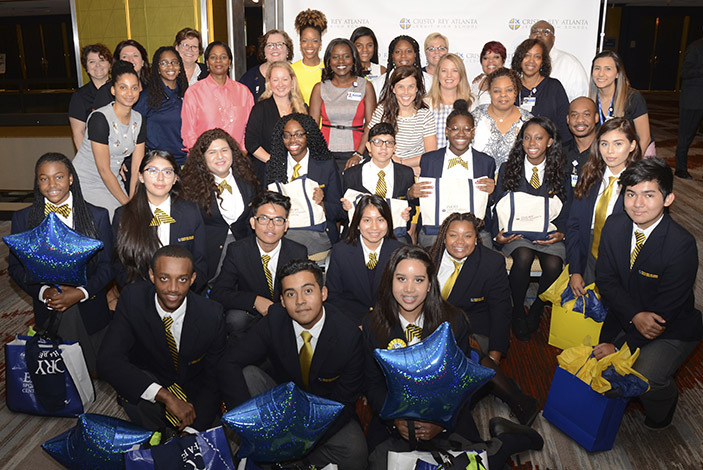 This year, 535 students in grades nine through 12 were placed with law firms, banks, universities and other corporate job partners in the business community.